Triumph has just showcased the Speed Triple on their UK website, touting it as the most powerful, sweet-sounding and agile Speed Triple yet. While we really look forward to having the Speed Triple back on road in India, let’s take a quick look at what all it brings to the table. On the styling front, the Triumph Speed Triple doesn’t look much different from the earlier model. Available in two variants, the Speed Triple S and RS have just one visually differentiating factor among them – the red and grey stripes that run down from the headlight cowl to the rear end on the RS. 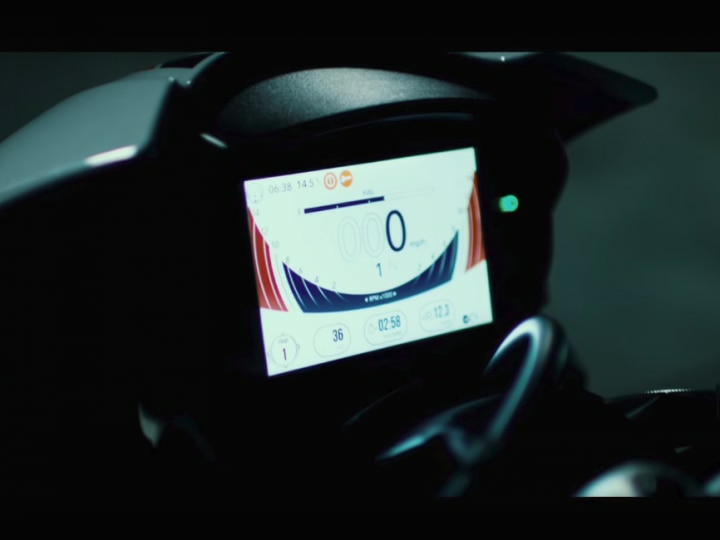 New updates include bug-eyed headlamps with LED DRLs and an adjustable TFT colour display, similar to the one seen on the Street Triple RS. Otherwise, the tank, seats, the rear end and even the exhaust positioning remains unchanged. The Speed Triple RS though gets Arrow exhaust as stock fitment. 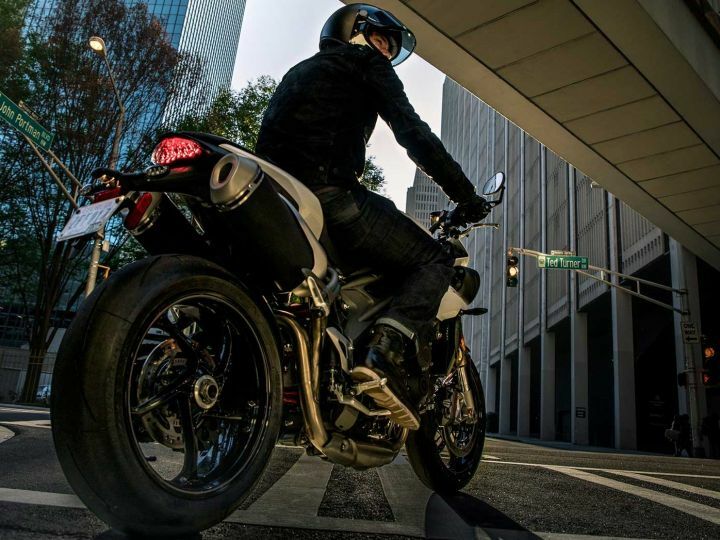 Powering the Speed Triple is a majorly updated 1050cc, 3-cylinder, liquid-cooled motor mated to a six-speed gearbox that is operated by a slip-assist clutch. As opposed to the outgoing model, the new Speed Triple now delivers 10PS more power, with 4 per cent more torque. As a result, power produced is 150PS at 10,500rpm, with peak torque of 117Nm coming in at 7,150rpm. The power and torque output of both the variants are identical, even in terms of the rev band at which it’s delivered. Triumph has also stated that in order to achieve the increase in power and torque numbers, it has changed precisely 105 engine components. Some of these updates include new and lighter Nikasil-plated aluminium cylinder liners, a lighter crank gear, new profile pistons, new valve springs, new high-lift cam profiles, new hydraulic tensioner and tensioner blade with new rubbing strip. Further improvement in efficiency is courtesy a new cylinder head, new, lighter balancer shaft and optimised balancer drive gear. Besides that, other benefits include a new sump, smaller starter motor, lighter battery and alternator, and a new airbox design. Additionally, the oil system has been rerouted and the fuel system revised, accounting for even more efficient performance. While the two variants remain unchanged on the performance front on paper, the main difference comes with weight management. The Triumph Speed Triple S weighs 192kg (kerb) and the Speed Triple RS weighs in at 189kg (kerb), which should be decisive in real-world performance. The Speed Triple S is built around an aluminium beam twin-spar frame, the front gets Showa 43mm USD forks with adjustable preload, rebound and compression damping and 120mm of travel. The rear, on the other hand, gets Showa monoshock with adjustable preload, rebound and compression damping, with 130mm of travel. The Speed Triple RS gets race spec Ohlins 43mm NIX30 USD forks up front, with adjustable preload, rebound and compression damping with 120mm travel. Meanwhile, the rear suspension showcases Ohlins TTX36 twin tube monoshock with preload, rebound and compression damping, with 130mm of rear wheel travel. Braking is managed by Twin 320mm floating discs, Brembo 4-piston Monobloc radial callipers at the front and a single 255mm disc with a 2-piston sliding calliper at the rear. Both ends get switchable ABS as standard. 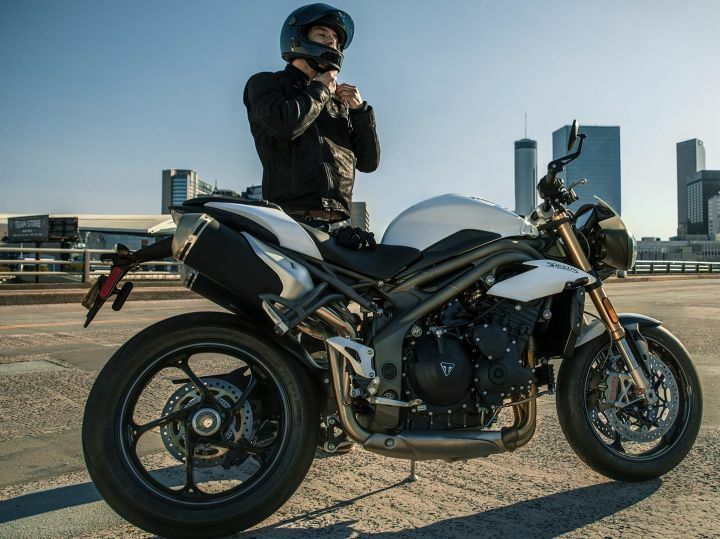 On the features front, the Speed Triple gets cornering ABS and traction control, which is supported by a new Inertial Measurement Unit (IMU) developed in conjunction with Continental. There are five riding modes for riders to choose from. These include Road, Sport, Rain and Rider-configured modes, which come as standard on the Speed Triple S, with an extra Track mode available only on the top-spec Speed Triple RS. The RS variant also gets keyless ignition for added security. While we are still unclear about the pricing, expect the new Speed Triple to be available at a price point of around Rs 12 lakh (ex-showroom, Delhi). 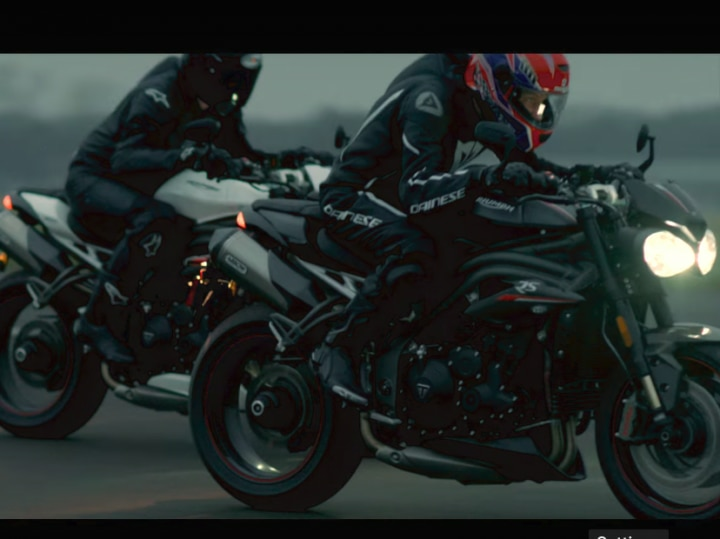 Once the new version makes it to India, which we think should happen soon, it will rival the Kawasaki Z1000, Suzuki GSX-S1000 and the Honda CB1000R. Priya Reaches 1 Million Followers On Instagram!